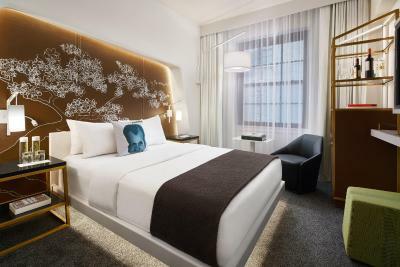 Lock in a great price for W Washington D.C. – rated 8.3 by recent guests! The staff was so Welcoming..... the location.... the cleanliness and cool room!! My husband and I stayed at the W to celebrate our Anniversary - We arrived to a bottle of Champagne and strawberries. 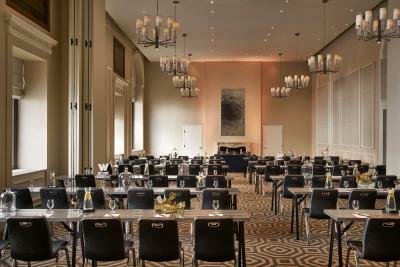 The Staff was amazing and the room was awesome. We will definitely be staying here again. Hotel was under construction and we didn’t find out until the day we where traveling. We should have been told before we ever booked!! When we got there they said no construction will start until 9am that was good we would be up and out by then. First morning they started at 8 second day at six! We checked out that morning. Still have not received our refund. The surprise dessert for my birthday that was left in the room in the evening! The staff was friendly and acknowledged my birthday at check-in & check-out! The bed was amazingly comfortable! Fantastic location and staff. The roof top bar has an incredible view. While rooms are small, they are cleverly designed. Old stinky dark room with facing the wekll of the building with non stop working noisy ventilation from citcchen bringing Smell of the burning cooking oil everywhere in the room and hallway . Laud noise from the vents does not allowed you to have a conference call in the room In addition - this property is terrrobky overpriced ! Everything was great. All the staff was extremely accommodating and friendly. From the door men to the front desk to the housekeeping to the bartenders. I would recommend to friends and family. W Washington D.C. This rating is a reflection of how the property compares to the industry standard when it comes to price, facilities and services available. It's based on a self-evaluation by the property. Use this rating to help choose your stay! 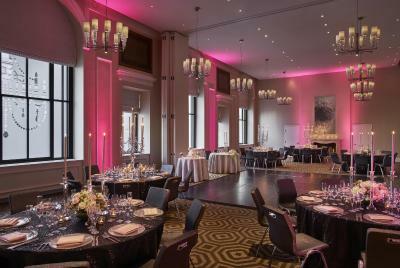 Featuring a roof terrace and bar, the W Washington D.C. is located next to the White House in Washington D.C. city center. Wi-Fi access is available. Each room here includes a 37” flat-screen TV, cable channels and an iHome clock-radio. The private bathrooms include a waterfall shower, bathrobes and free toiletries. 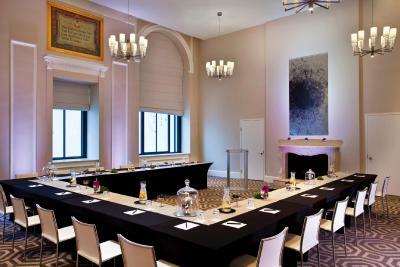 At W Washington DC, there is a 24-hour front desk, a roof terrace and a bar. Other facilities at the property include the Bliss® spa, the FIT® fitness center and a shared lounge. 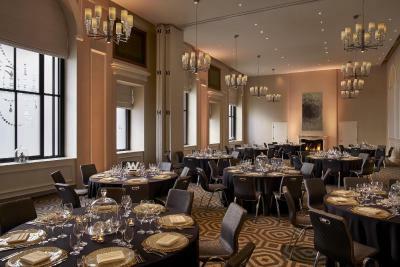 Guests can also dine at Pinea, a renowned European restaurant, or enjoy drinks at the hotel’s POV rooftop bar, the Living Room Bar and the Root Cellar Whisky Bar. 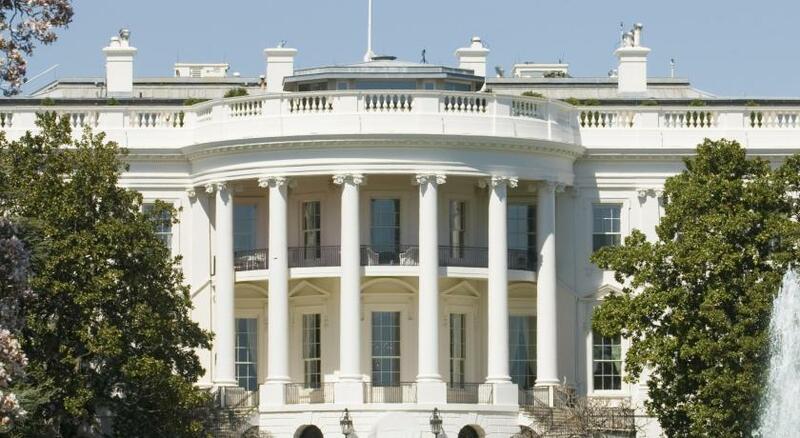 The hotel is a quarter mile from White House, half a mile from Ford’s Theatre and half a mile from Washington Monument. Baltimore - Washington International Airport is 27 miles away. When would you like to stay at W Washington D.C.? Private parking is available on site (reservation is not possible) and costs USD 59 per day. Rooms are 74 square yards. 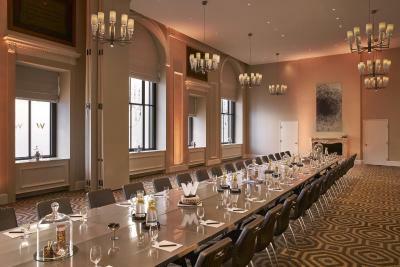 4 reasons to choose W Washington D.C.
An Inside Look at W Washington D.C.
Cross the party line as you step into the Beaux Arts grandeur and cutting edge design of W Washington DC. 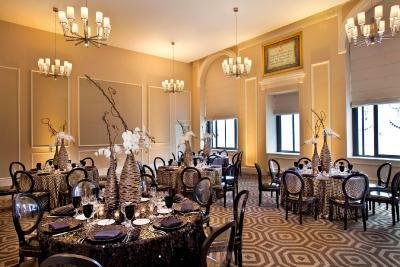 Stay glamourous in one of our 317 elevated guest rooms and suites that blend historical detail with high fashion. 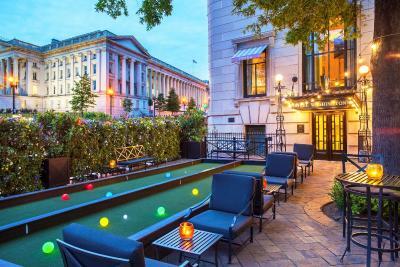 Feel the proximity to power as you overlook the White House from POV rooftop bar. Or indulge at Pinea where the Italian cuisine and oversized murals by local artist GAIA are inspired by the power and passion of Mediterranean Empires. W Washington DC stands proudly on the National Mall, with stunning views of the Washington Monument and just steps from the rest. House Rules W Washington D.C. takes special requests – add in the next step! W Washington D.C. accepts these cards and reserves the right to temporarily hold an amount prior to arrival. Please note, third party credit cards are not accepted at the property. During renovations, guests may experience some noise or light disturbances. Please contact the property for details. 139 people are currently looking for a place in Washington, D.C.
See all guest reviews for W Washington D.C. Newest Reviews for W Washington D.C. The overall decor is trendy and tries too hard to be cool. 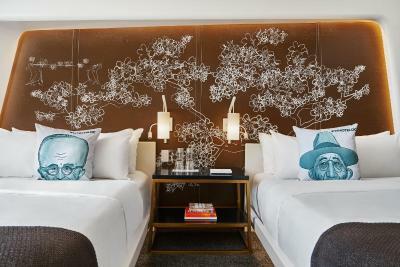 More attention to signage, like a basic front desk, normal dining experience and comfortable pillows would go a long way to making the expensive price tag per room worth it. A lot of little things caused this stay to not live up to the standards I’ve become used to at a W property. They screwed up our breakfast order and included meat in an omelet that ordered as vegetarian. When we had them remake it, they messed up again. We finally gave up on the breakfast effort. The maid failed to restock the water even when asked. The TV was not working properly and I was unable to watch the free pay-per-view movie that was provided complimentary for my gold status. Overall, the several little things definitely detracted from the four day stay. Hotel is undergoing major renovations on the rooftop bar. This caused many of the facilities to be closed, including the gym. Our room was located on the same side as the renovations were being done. Which meant that we could hear all the machinery, tools, workers talking and 5:30am truck delivery. Location and room was comfortable & clean. Bathroom with "clear" wall and without "regular" door was terrific, no privately toilet !!! The staff were really lovely. Impolite and slow staff. No sense of customer service at all! Lack of chairs in room to relax, sit and read. Prompt, friendly and efficient service. Too crowded at night, noisy, not relaxing. We checked in and were given a room that stank of body fluids/mould. I was surprised the cleaner didnt notice it while fixing the room. Bathroom not comfy at all. Overpriced probably due to location.